I returned last Sunday night from Casper Wyoming, where 2 friends and I attended a Bonnie Hunter Trunk Show of Quiltville.com and Pineapple Blossom Workshop. Oh yes, I have lots of photos on my camera. Unfortunately a virus has attacked my home computer and that's where my photos need to be downloaded. 8-((( Maddening!!! I've followed Bonnie's Blog and web site for 8-9 ?? years, and was happy she recognized me with a mutual "whoopie" and hug. Our class was full, productive, the motel was very pleasant, and we all ate too much. What more can a person ask for? Driving through Wyoming was wide open, snowy on the mountain ranges and just beautiful - there is so much space! The highway was good, traffic light, weather lovely and unusually WARM, and we saw many large herds of antelope. We even saw the elusive Jackalope, but we were so busy talking, my navigator could not get a photo of that skittish little critter! Here's one variety of the Jackalope (web provided). Glad to hear you had a good time in Casper. I can't wait to see your photos. I had my fingers crossed for your cross state drive! I am so glad you got to meet Our Bonnie. Isn't she just the sweetest and most talented woman you have ever met?? Hope your virus cleans up when you do a scan. Nasty world we live in. Bonnie is fabulous. Good for you getting to meet her! Glad your trip was fun and safe. Sorry about the virus, we have been fighting them too, I think because we have more than one computer that they travel from one to another. We loaded on a-squared Free, and it caught some things that Avast (our regular) hadn't caught, hope we both get rid of them. It makes me so mad that some people find causing these problems entertaining. Hope to see your pictures soon. Sounds like fun. I wondered if there were any Jackalopes around there. Apparently they have them up here in Alberta. Lol. A Jackalope....right! I saw a mounted one once in a tourist trap though. Interesting creatures. I bet the trip was a blast as it as always fun to share quilting experiences with good friends and to get to see and hear Bonnie would be such a treat. I am so glad you are back safe and sound. I was worried about the weather. It was fortunate that it was good for your drive. I am also glad you had a good time. I am still envious! Cannot wait to see the pictures. Love your new kaleidoscope blocks. Lucky you! 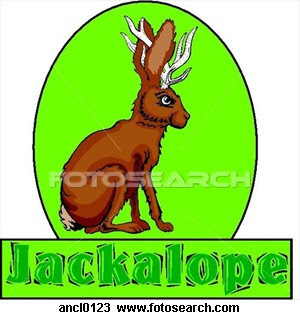 I have never heard of a jackalope, must get onto google! Love the quilt of valor blocks...can't wait to see what you complete in Bonnie Hunters class....lucky you.